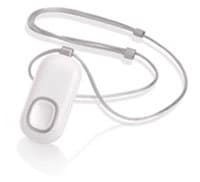 Most traditional medical alert monitoring systems rely on a pendant or button that your loved one must press in order to call for help. These systems are highly effective and save lives every day. Some seniors, though, are at a higher risk of falling than others. In fact, one in four seniors aged 65 and over fall each year. There is the possibility that when your loved one falls, they may be unable to press their medical alert button to call for help. This is where Automatic Fall Detection fall alert systems come in. If the fall detection sensor records a fall, it will automatically place a call for help. You can choose to decline help if you do not need it however, if you do not cancel the request, help will be on the way. Automatic fall detection technology is still evolving in the medical alert industry and it’s not without some controversy, since they can’t detect 100% of all falls. Read our most frequently asked questions in regards to medical alert devices with wearable fall detection to learn more. 1. What is Automatic Fall Detection and how does it work? Automatic fall detection, or Automated Fall Detection, is typically built into a fall alert pendant that may also be worn on your waist, depending on your system. Some companies also offer a wireless fall detection bracelet. They can be worn while relaxing on the couch, sleeping or even in the shower. As this technology continues to evolve, new products have emerged that do not require you to wear a fall pendant at all. They use low power radio wave technology to monitor your movement within a specific space, like a bathroom. Apple has created a fall detection watch that has fall detection technology built into it. The Apple Watch Series 4 is the first of its kind to incorporate this technology. These systems feature detection sensors (multiple accelerometers and processors) that can detect between normal activity, and an actual fall. By continuously measuring the speed of movements in all directions, the fall detector can compare what it senses to what it considers an actual fall. You and your kids probably use accelerometers everyday without even knowing it. If you have an iPhone (or other smartphone), you’ll notice that your screen changes when you turn your phone sideways. Or when your child uses a Wii gaming system remote control to swing a bat or throw a ball in a game, accelerometers are involved in tracking their movement and displaying their results in the game. Since fall alert detectors can sense what position they are in, how fast they are moving, and how they are moving (smoothly or abruptly) 80% of users experience no false fall detections per month while 90% of users experience one or fewer false detections per month. This is according to a Medical Guardian technical bulletin. 2. How does Automatic Fall Detection benefit seniors? The benefits of automatic fall detection to seniors can be great. Considering that one-third of adults over 65 will fall each year, fall related injuries are not uncommon. Also, if you or your loved one has diabetes, low blood glucose or another condition that increases your risk of falling, this feature might provide you with additional piece of mind. Getting help fast in these situations could be life-saving. If your loved one sustains an injury or becomes unconscious from a fall and they are alone, their chance of getting help fast is increased significantly by automatic fall detection technology. Please see our article Falls Are The Leading Cause Of Injury Deaths Among Older Adults on the dangers of falls to seniors. 3. Does my loved one really need Automatic Fall Detection? Have you or another family member ever witnessed your loved one fall? Do they live alone, or is their spouse still living? Are they beginning to “shuffle” their feet rather than take complete steps? Are there trip hazards around the home like throw rugs, areas where the floor is uneven, or rooms that have different floor types like carpet, ceramic tile, vinyl, or hardwood floors? Is there different floor types in each room which create a “threshold” trip hazard? Do they have to use stairs to get around in their home? Does your loved one need to step into a bathtub to use the shower? Do your aging parents think they can still do just about anything on their own, and you have worries every time you see them doing it? 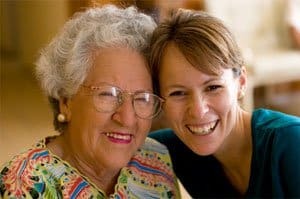 Does your elderly loved one have a medical condition such as diabetes that is prone to fainting spells? Has your loved one broken a hip before and need to be extremely careful not to fall again? Do they live in an area that is prone to slippery ice in the winter time? 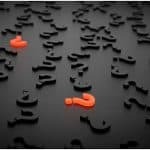 Answering these questions may help you decide whether you or your loved one should seriously consider a system with automatic fall detection features. 4. What features should I look for in an Automatic Fall Detection medical alert system? Besides the features that every traditional medical alert system should provide (see What Are The Most Important Features of a Medical Alert System? ) these auto fall detection systems may offer other advanced features that you may find useful. Is the fall detection device truly automatic? If you are unable to push your button for help, the automatic fall detection technology will do it for you. Is the detection device waterproof? Falls can occur in the bath or shower, so this is an important feature. How reliable is the technology? Once you receive your system, be sure to test its functionality for your loved one (with them present) so you are all aware how the system and service will operate. Is the device comfortable to wear or will it get in the way during everyday activities? How easy to use is the system? You don’t want anything that is complicated. If the system is truly automatic, then ease-of use-should not be a real issue. You would also need to make sure your device is easily accessible. Can you still simply press a button if you need help, or does the system only detect falls? 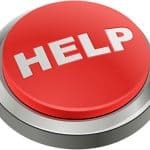 The system should always provide a button to call for help. Many times the button can also be used to cancel the fall detection if you are OK or the system made a false detection. Does the system tell you if the battery is low in the pendant and whether it needs to be changed or charged? As with all medical alert systems, does the fall detection system require a traditional telephone line to operate or can it reliably work with cellular or VoIP telephone services, and does it have that mobile GPS technology built-in? 5. What are the limitations of Automatic Fall Detection? Given that Automatic Fall Detection is relatively new technology, there is some room for improvement. One possible inconvenience could be false alarms. These can occur if there is a sudden movement and then the user perhaps lays down or sits in a chair without any further movement. This could warrant unwanted paramedics to show up at your door, but advances in this technology appear to have greatly reduced false detections. Something else to consider is accuracy. Movements such as sliding might not be detected. It is important to note that Automatic Fall Detection is not 100% accurate. Similar to issues involving VOIP medical alert systems, fall detection is not always foolproof. Today’s auto fall detection technology can sense a fall of less than two feet. This means that even if you fall off your sofa onto the floor, the sensor can call for help.It’s important to understand that it may take several seconds for the system to decide whether it has detected an actual fall, but this will help limit false alarms. With the unit shown below, once a fall has been detected, the base station will announce, Fall Detected.Press and Hold Button to Cancel. If you or your loved one actually needs help and do not cancel the alarm, the unit will then say, Fall Detected.Contacting Emergency Response Center. Please Stand by for Operator. Once the system connects to an operator in the monitoring center, they will ask if you or you loved one are okay and need help. If they are able to speak to the operator they can tell them the type of help they need. If you or your loved one is unconscious or unable to speak, the operator will automatically send emergency support services to the home. It’s best to wear the button on the outside of your clothes. The unit will do a better and more accurate job if it’s not obstructed by clothing. Depending on your system, you should be able to manually cancel the automatic fall detection alert by pressing and holding the pendant emergency button or the reset button on the base station for a certain amount of time, as described by your service provider. Please be sure to understand how to do this. If a fall alarm or an alarm you manually initiate with the pendant or base station button is not canceled, the operator will talk to you through the base station unit. If the operator cannot hear you or you do not respond, emergency help will be sent automatically. 8. Is Automatic Fall Detection worth the extra cost? After carefully considering the needs of your loved one, their current living environment, and how much time you are available to be with them, one other major factor to consider is cost. With the monthly costs nearly twice that of a traditional medical alert monitoring system, the cost alone may be the deciding factor. Is the extra costs worth it? Only you can make that decision. Keep in mind, these emergency alert systems cannot detect 100% of all falls. 9. What companies offer Automatic Fall Detection systems and how do they compare? Automatic fall detection has been around for a short-time compared to traditional medical alert monitoring systems. Due to the complexity of the systems, there are less medical alert companies that have been able to introduce reliable fall detection systems, although companies are adding this technology as an add-on service more frequently. Below are some companies that offer Automatic Fall Detection medical alert systems. Take a look at the medical alert systems comparison chart. Know more about medical guardian cost and its fall detection features in our detailed review. Installation / Equipment NO Equipment Fees (excludes Freedom Guardian) No Activation or Set-up fees. No Activation or Set-up fees. DISCLOSURE: We may receive referral fees from these companies for purchases or inquiries made by you. Thanks to your support, we can maintain the website & offer you special discounts, at no cost to you.